With everything that's been happening in the retail industry lately, one would be tempted to think that the brick and mortar store is over. But that's simply not true. Statistics Canada reported that in 2016, Canadians spent more than $44 billion per month in retail sales, with e-commerce accounting for just about two per cent of that. The physical retail store isn't dead; it just needs reinvention—and recent store closures and bankruptcies only tell one side of the story. So what's the other side? Consider legacy players, like Wal-Mart and its 24hr digital ordering with in-store pick-up and Lowe's use of robotics to improve employee productivity as prime examples of retailers that are adapting their traditional business models in this digitally connected age. Digital players are also expanding into the physical space, like Amazon's move into grocery with its purchase of Whole Foods (as well as its experimentation with Amazon Go) and Snapchat's Spectacles store—suggesting that the future of retail will likely be a seamless blend of bricks and clicks. That's because people still value the ability to interact in person with the things they want to buy (just look at Bonobos). This 'discovery' experience is the first moment of truth in the retail journey. I'm a big believer in a concept we call 'looking back to go forward', or what can be learned from the past to anticipate what the future should offer. Most of us remember walking into a music or video store, spending time to look at all of the titles available and actually listening to or reading the cover of each one before making a final decision. That in-store experience was one of the main reasons why companies like Tower Records and Blockbuster existed. Fast forward that by a few decades, and we can now browse music and movies directly from the phones in our pockets. The physical store experience for these became obsolete as the content itself became digitized. Without being able to adapt their business models or store environments with the move to digital, Tower and Blockbuster unfortunately disappeared. Compare that to innovative companies like B8ta and Samsung whose mission is to show consumers how technology products fit into their life. B8ta and Samsung are changing the retail store and creating high-touch experiences where people discover, try, and learn about new tech products. In today's digital age, retail discovery isn't easy. Consumers are browsing across multiple channels, are inundated with choice, and aren't always armed with an intuitive way to find exactly what they want with the same emotional engagement as they had in Tower Records. This is why the in-store experience is ready for disruption. How you pay has always been an integral part of the physical store. Leading retailers are looking at embedding technology within their in-store environment, with an estimated 70% of retailers actively investing in embedding digital into their physical stores. Technologies including beacons, digital signs, tablet based points of sale, and RFID tags are becoming new tools to augment the store infrastructure. At the same time, consumer adoption of mobile apps and devices are being used as a way to give retailers the 'permission to personalize' by removing traditional points of friction and ensuring each interaction is unique. We can accelerate the transformation of retail by moving from the 'single device, single experience' approach to a more streamlined and seamless shopping experience that spans multiple connected devices and leverages in-store technology. 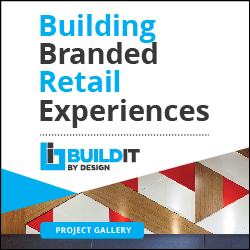 For example, we are partnering with Oak Labs to transform any in-store surface into a point of engagement, customer service and sales – from the fitting room mirror all the way to the storefront window. The future of retail isn't something we have to look forward to, it's already here. Stephane Wyper is the Senior Vice President of Internet of Things Partnerships leading the strategic partnerships in the IoT ecosystem. Follow him on Twitter at swyper. In his role, Stephane and his team are responsible for leading Mastercard’s efforts to commercialize new commerce opportunities covering the Internet of Things, Virtual Reality, and Augmented Reality. This includes identifying key needs in this space that Mastercard can solve for, as well as developing relationships with leading players across specific IoT verticals including connected car, smart home, connected office, and the future of retail.